When I was a child, I used to look at clouds and try and name the shapes I saw. I did the same in front of campfires and fireplaces. This is the third or a series reflecting on stories we tell around a campfire. Let your mind be open to what your imagination is capable of creating. Campfire stories is a series of three paintings, this one is the first in the series. 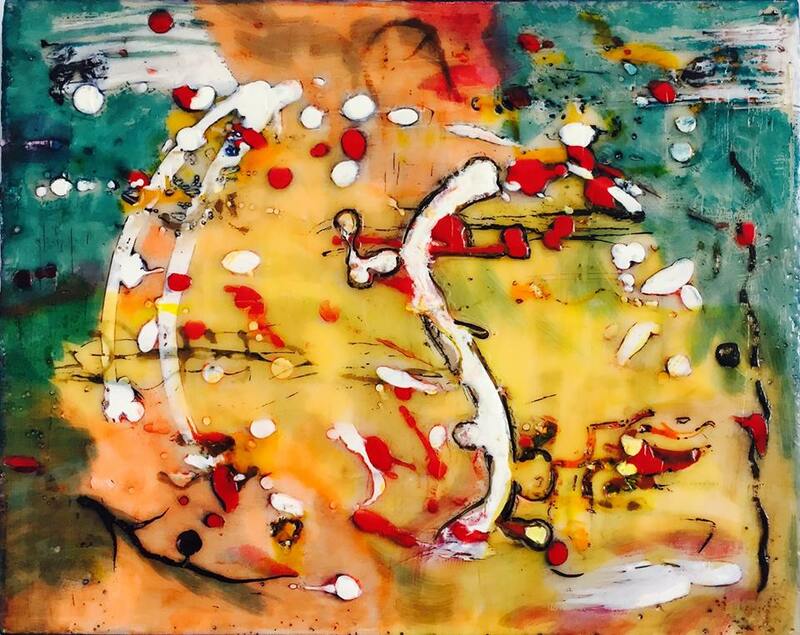 “Campfire Stories III” is 8″ x 10″ Encaustic and Oil on a cradled birch panel.